At home and abroad, the press is becoming a target of states and individuals. Until relatively recently, outside of war zones, journalists usually didn’t have to worry too much about their safety. But journalists today are facing a whole new set of occupational hazards, from relentless harassment, to mass arrests, or even assassination. Though the US media generally enjoy the most robust protections in the world for press freedom, Trump’s daily screeds against the mainstream media are making things worse for journalists. With his near hourly fits of rage against the liberal media as the “enemy of the people,” free press advocates worry that Trump’s vitriol toward journalists is sanctioning, if not outright encouraging, violence against media institutions at home and abroad. According to CPJ, which tracks attacks on the press worldwide, 324 reporters in the past decade have been killed in the line of duty, and in “85 percent of these cases no perpetrators have been convicted.” The deadliest countries for journalists are the usual suspects: Somalia, Syria and Mexico. But the United States stands out as one of the few wealthy democracies to have shifted down in the overall press freedom rankings, according to Reporters Without Borders (RSF). And the birthplace of the First Amendment saw the murder of five journalists in 2018 alone—including four murdered in a shooting massacre at the headquarters of the DC-area daily Capital Gazette. Since 1992, only 11 journalists in total have been killed on the job in the United States—eight of those were the result of murders. 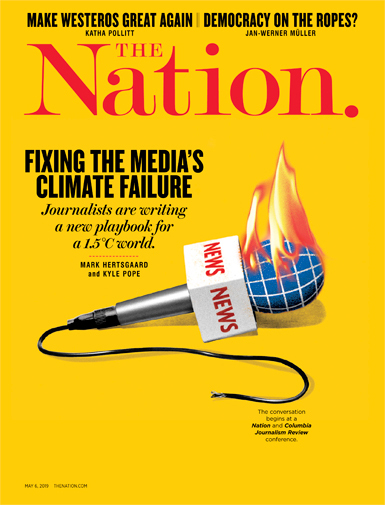 Despite the historical reputation of the American media as the gold standard in press freedom, reporters seem more willing today to draw analogies between the state of journalism in the United States and under other governments that actively stifle the press. The administration’s unprecedented seizure of the communications records of a New York Times journalist last June as part of a leak investigation also signaled the White House’s aggressive intimidation and direct suppression of media workers. 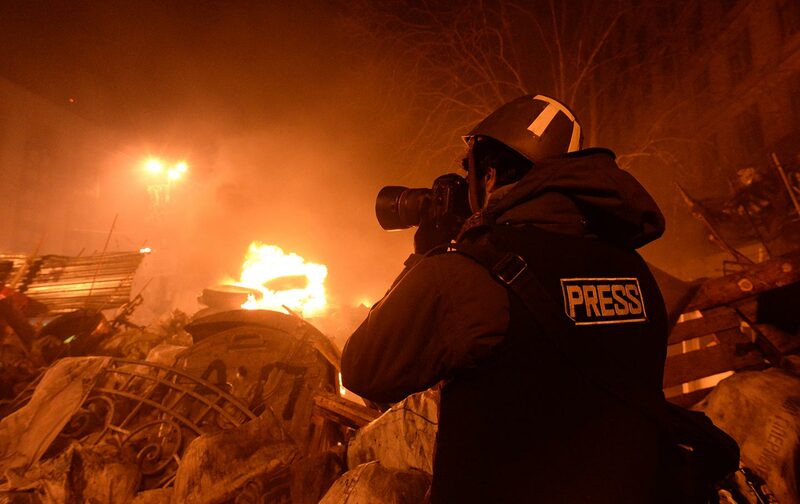 Journalists have also warned of growing threats of arrests when covering protests amid chaotic and heavily policed crowds. In their day-to-day work, reporters face stiffening barriers to public information, often getting stonewalled by secrecy policies when investigating government records. over 20 incidents including three intruders entering studios; 15 cases of threatening letters or calls, four of which resulted in arrests; and six attacks including a man ramming his truck into the station of a Fox affiliate in Texas and an unidentified person firing multiple shots at mail carriers for The Lewiston Tribune in Idaho. In addition to beefing up newsroom security and staff safety training, there’s growing subsurface pressure to self-censor. On social media, especially, vicious trolling has driven some reporters to limit their Twitter exposure. Reporters have also found themselves in the cross-hairs of another Trump minefield—the US-Mexico Border. CPJ’s recent study of reporter safety at the border revealed a stunning degree of privacy violation, surveillance, and invasive searches, leading to degradation of basic free-speech protections in an area largely outside the purview of the public and official oversight. In the nine-month study, based on field interviews by CPJ and RSF, many reporters “said that the searches impacted the way they approach their work and travel, that invasive searches affect their ability to protect sources or do their job,” and that they had virtually no legal recourse. The unnerving sense of insecurity surrounding the field of journalism is more intense, of course, in places like Somalia and Saudi Arabia. But US journalists are increasingly finding solidarity with colleagues struggling to expose the truth in other countries. In an era of soft oppression and anti-media demagoguery, no journalist anywhere can afford to let their guard down.